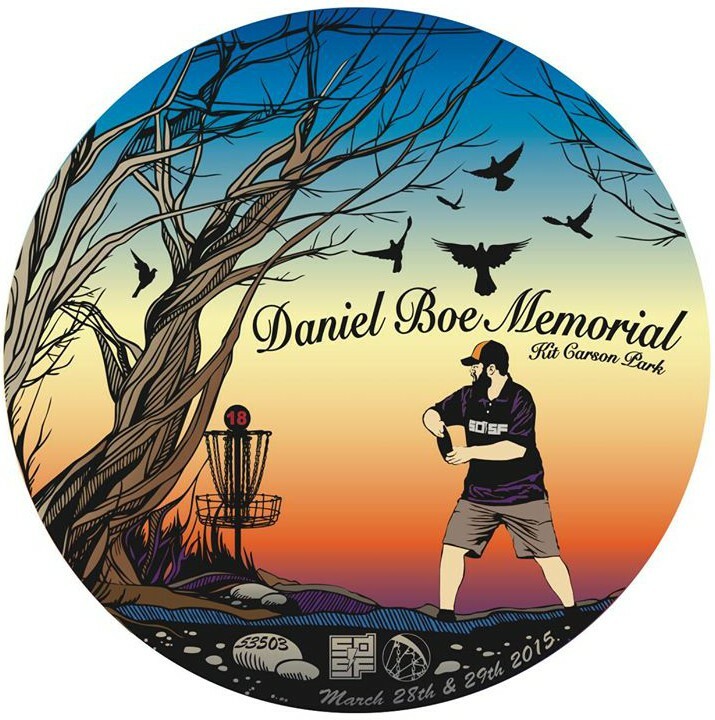 Last February, the San Diego disc golf community lost a beloved member when 25-year-old Daniel Boe died in a single-car accident on the way back from the Memorial Championship in Arizona. 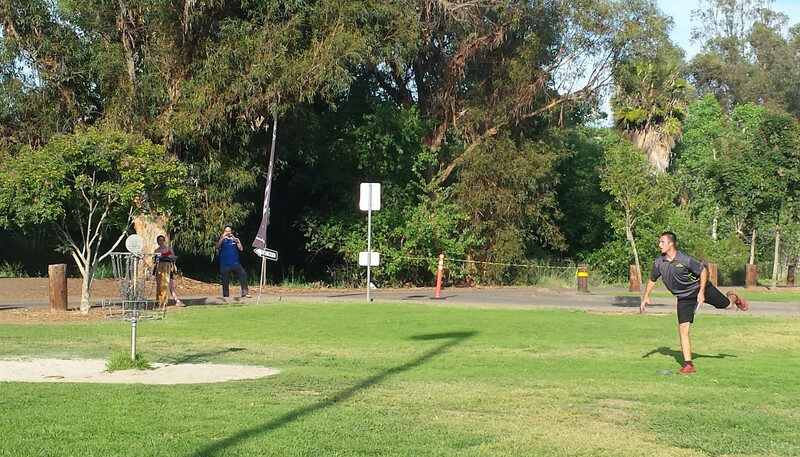 This weekend, that same community came together to honor the young man’s memory at the Daniel Boe Memorial, a PDGA-sanctioned A-Tier tournament held at Kit Carson Park in Escondido. Sponsored by DGA and Latitude 64 and hosted by the San Diego Aces Disc Golf Club, the event drew more than 150 players from San Diego and the surrounding region, as well as some of the top professional players in the sport. And while not every player knew the man affectionately known as “DBoe,” many felt the impact he had on those who did. “It’s nice to know you’re a person to remember and be honored,” said Philo Brathwaite (#26416), a Los Angeles-based pro who attended the event. “Obviously Daniel had those characteristics that are deserving of a tournament to be named after him, so that’s awesome. I think a lot of us look to feel that way or be remembered that way in the future when our time comes. After festvities kicked off Friday – Boe’s birthday – with a qualifying round, Brathwaite took that positive spirit to a hot round of 44 (-14) on Saturday, the tournament’s first day of Open action. Sunday, though, told a different story. The Open division’s second round saw South Carolina’s Ricky Wysocki (#38008) charge back with a 46 (-12), while Brathwaite fell off his prior day’s pace with a 50 (-8). The difference left Brathwaite with a slim one shot advantage entering Sunday afternoon’s final round. And for about the first half of Sunday’s final 18, Brathwaite was, indeed, getting it done. Starting off with three straight birdies, Brathwaite added a shot to his lead when Wysocki hit a tree and carded a par on the course’s sixth hole, a short, tight island. Wysocki took that shot back when Brathwaite went the tree route on Hole 8, and the two remained tight for most of the round. Hole 15, though, started a stretch of bad luck for Brathwaite that looked to seal his fate. After missing a near ace by inches, Brathwaite was left with a bad lie wedged between some bushes and a chain link fence for a difficult birdie look, which he missed. He followed that with a missed putt for birdie on 17 and an out-of-bounds drive on 18, putting him a shot behind Wysocki heading to the tournament’s final four holes (play began on Hole 5). The two traded birdies on Holes 1 and 2, but a short Wysocki drive on the tournament’s penultimate hole left Brathwaite with an opening. After putting his drive pin high on the 471-foot hole – but about 70 feet to the left – Brathwaite ran a jump putt for the tie, but lofted it just over the basket to settle for par. When both players cleaned up their birdie putts on the course’s final hole, it was Wysocki (-34 over three rounds) who walked away with a one-shot victory. While the final round provided plenty of drama for the growing gallery of players finishing their afternoon rounds, the true focus of the event was celebrating the life of Boe and his impact on the community. Max Nichols (#21870), a San Diego-county pro who shared the final round lead card with Wysocki and Brathwaite, spoke of the strength of the local scene and how it played an impact on the weekend. Ricky Wysocki birdies the final hole to seal the victory at the Daniel Boe Memorial. “The tournament filled up in like three minutes or something, and I know it’s not just because ‘Oh, this is a cool disc golf tournament,’” Nichols said. “It’s ‘Whoa, this is for my friend Daniel Boe,’ and then the word spread. A.J. Risley (#25890), another North County-based professional, also mentioned the impression Boe left on fellow players. “Daniel was a really cool guy, just one of those guys that never had anything bad to say about anybody,” Risley said. “He was always happy to see you. I didn’t really know him too well, and I didn’t play a whole lot with him, but when I did a few times I learned a lot. “I learned a lot about having the right attitude because he would have some struggles, but he would always have a smile on his face and keep moving on,” Risley continued. “And I learned when you’re out there (on the course) there’s no reason to not give it your all.